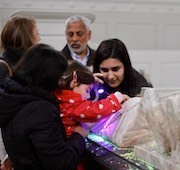 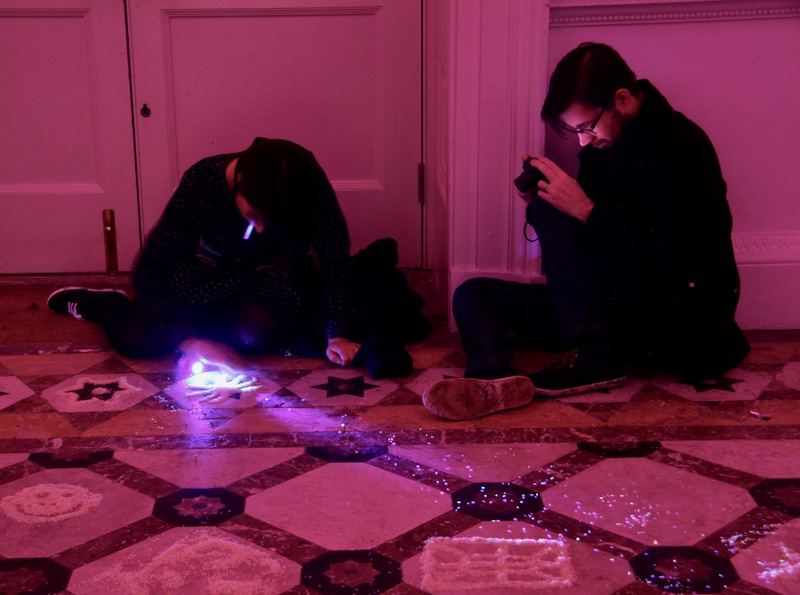 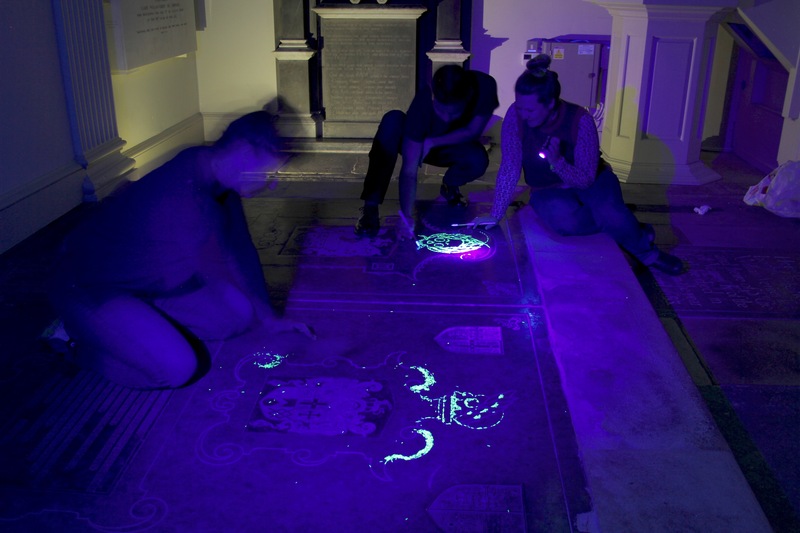 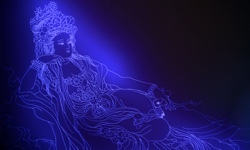 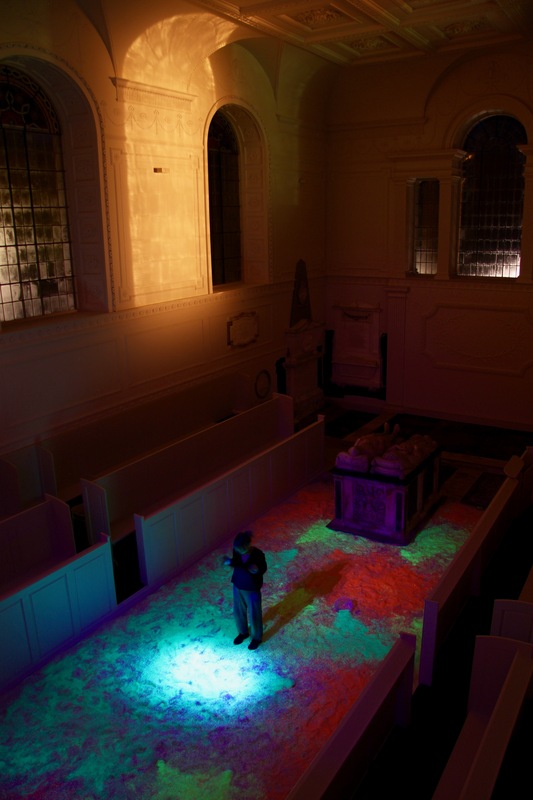 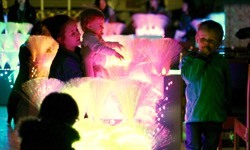 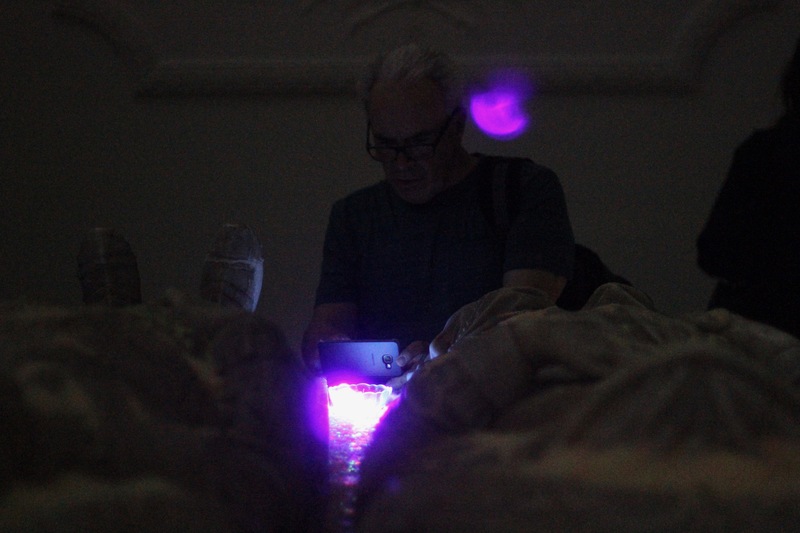 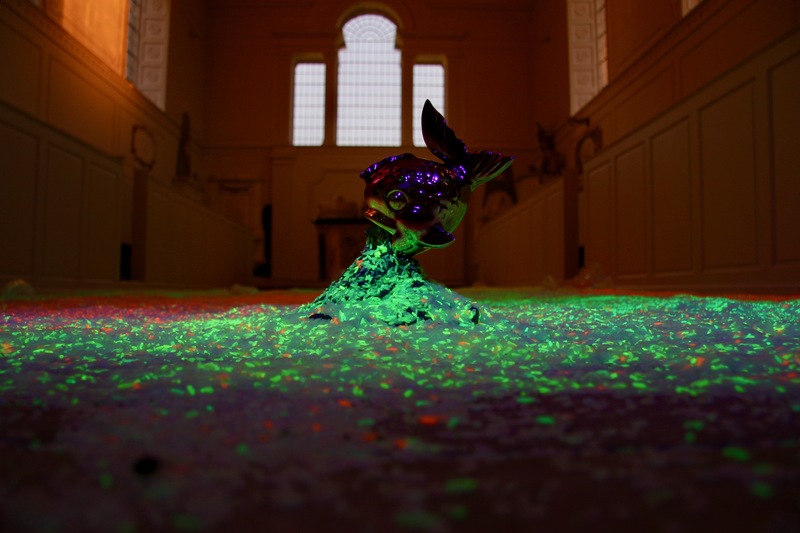 In The Ritual, commissioned by Museums at Night for their 2016 national festival, Aowen brought magic of Chinese spiritual tradition alive within Compton Verney and their 17th Century Capability Brown chapel by creating a massive phosphorescent rice field installation which visitors explored with UV torches, played in and used to create their own sparkling art works. 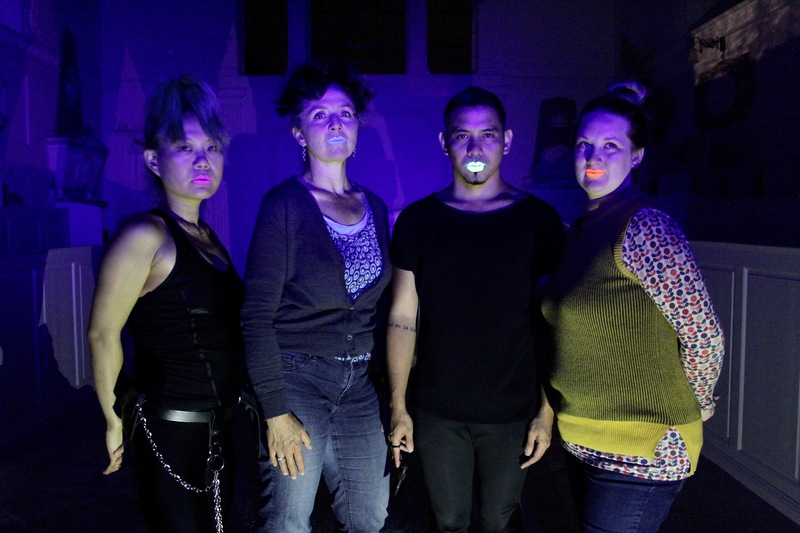 The Ritual was an installation artwork that was commissioned by Culture24 with funding from the Arts Council for the biannual national Museums at Night Festival. For the festival – which has previously hosted artists such as Rankin, Spencer Tunick and Grayson Perry – national galleries compete for the chance to work with one of six selected leading contemporary artists. 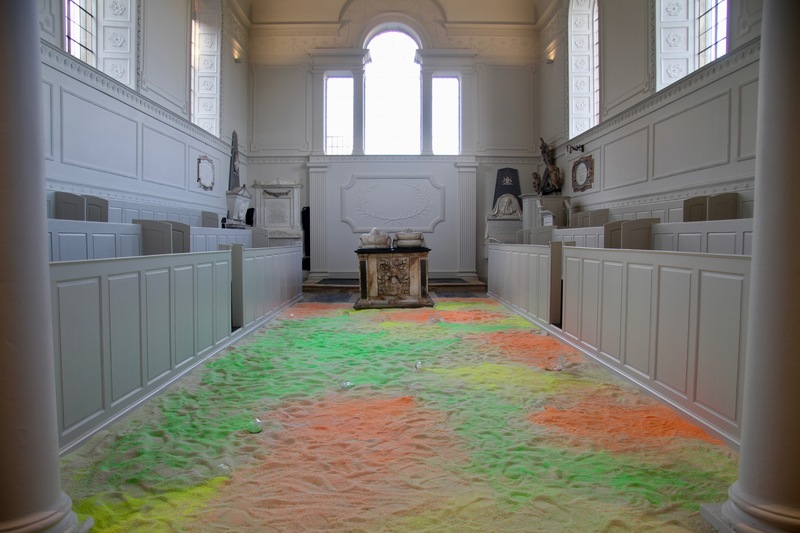 After a public vote, the art gallery Compton Verney won the competition to host Aowen’s installation, and Aowen chose their 17th Century chapel – built by famous landscape architect Capability Brown – as the location for the work. 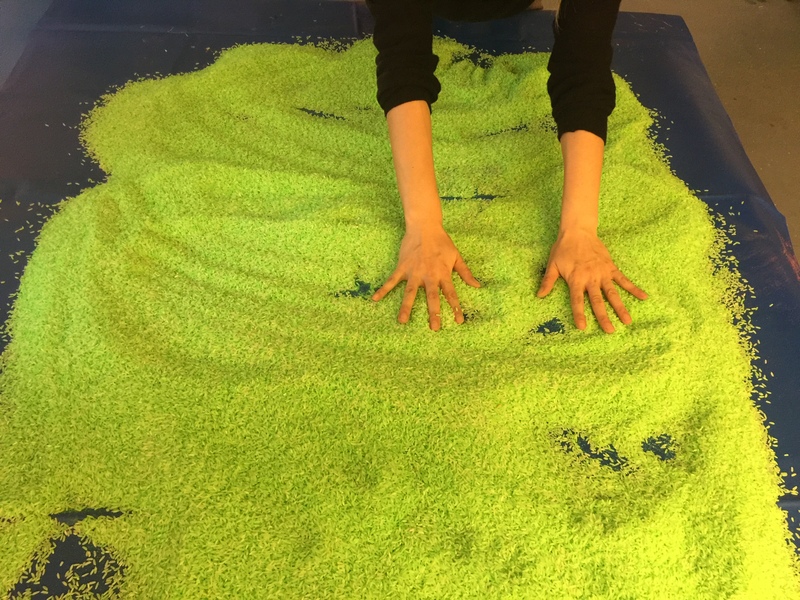 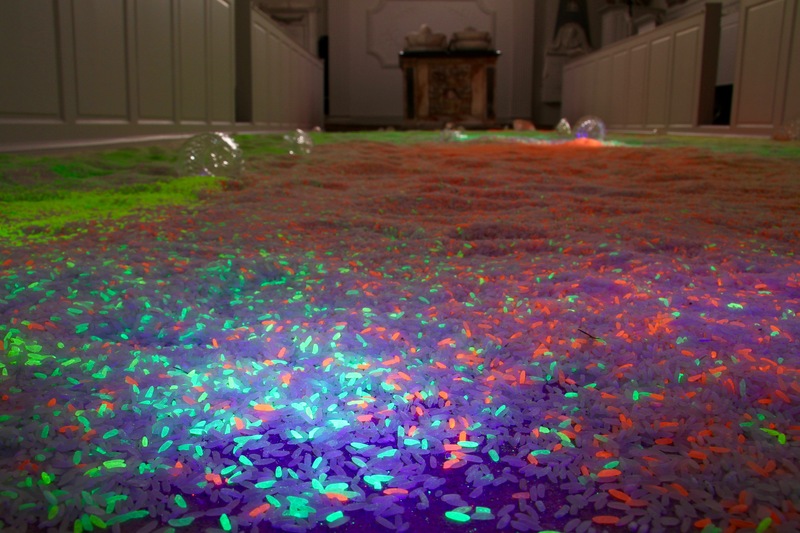 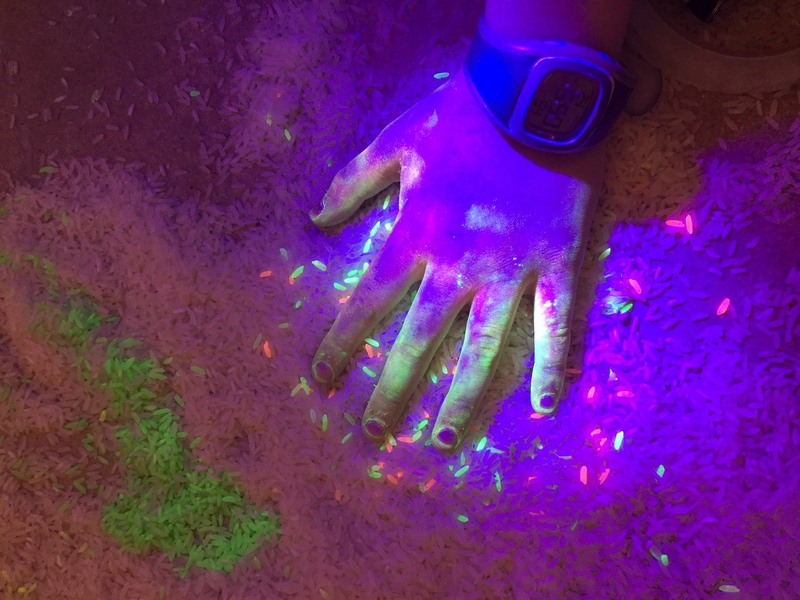 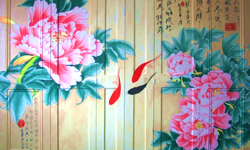 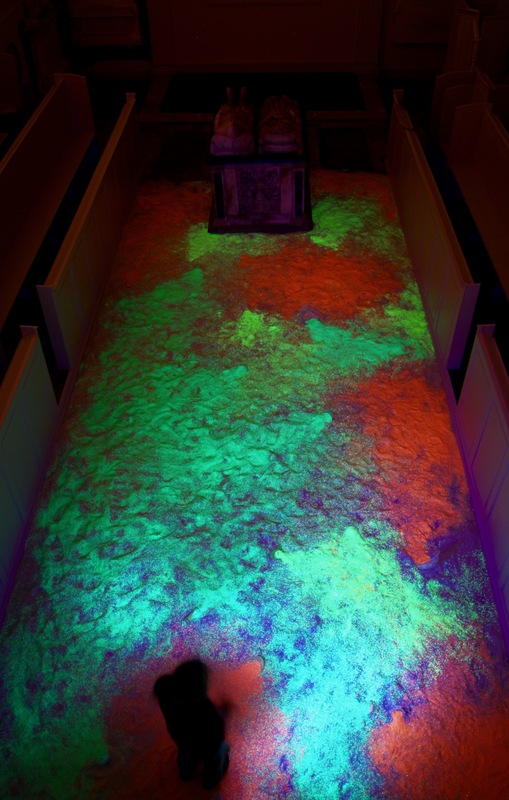 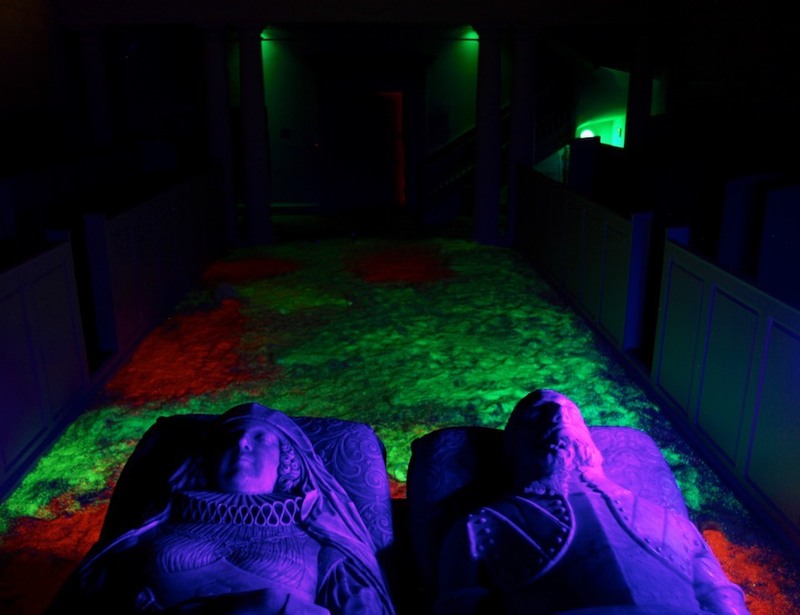 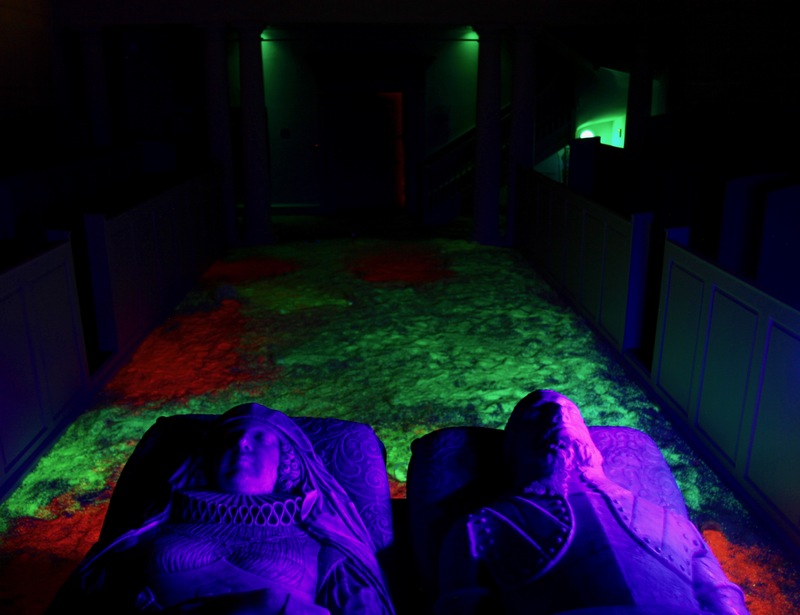 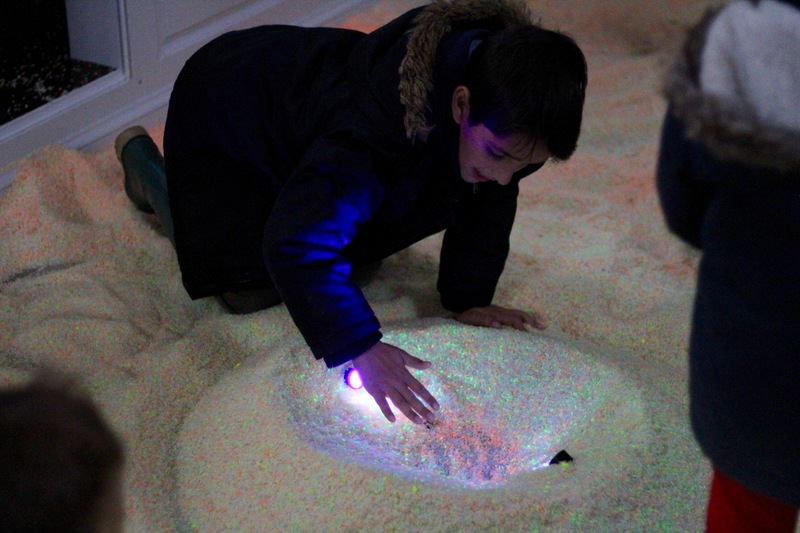 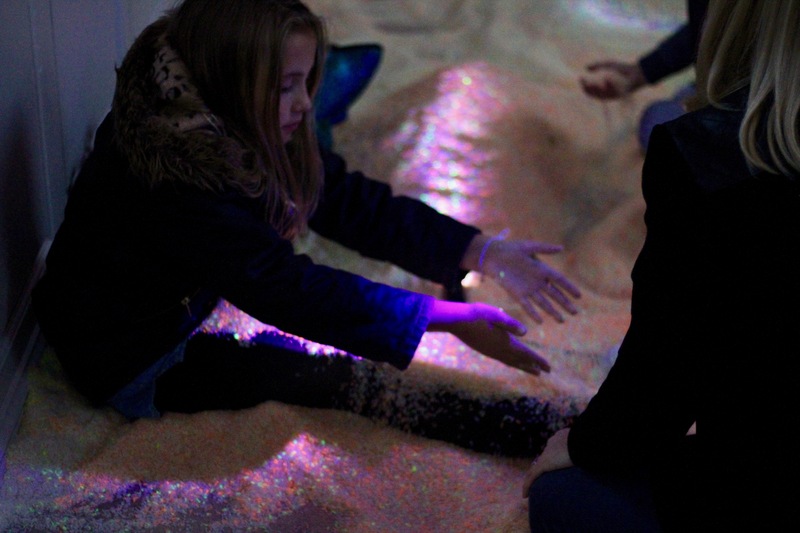 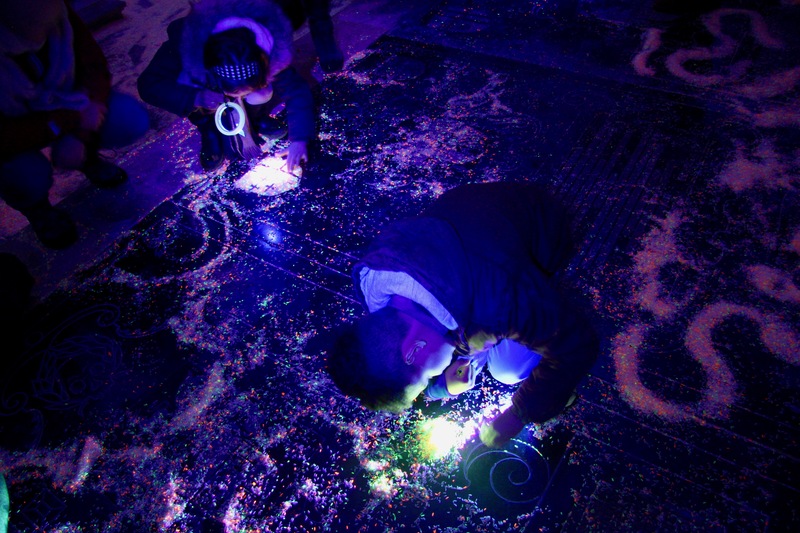 Aowen created her installation from one tonne of rice, which was specially treated with three different UV paints. 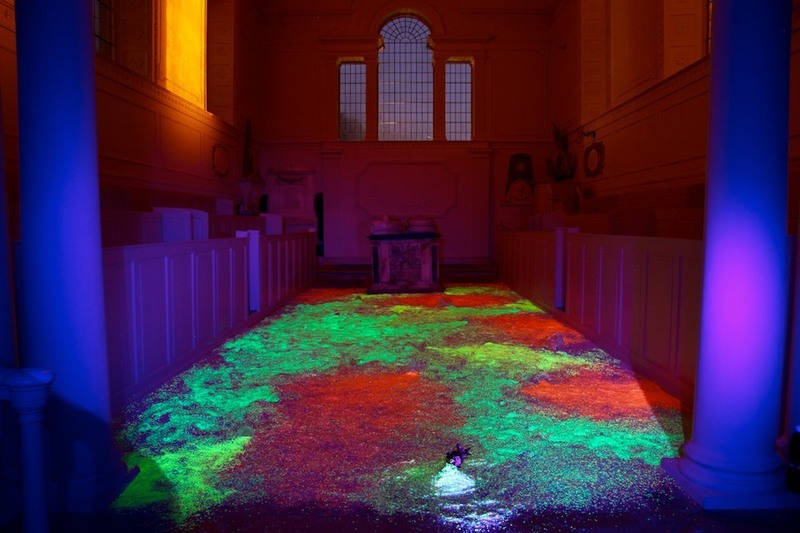 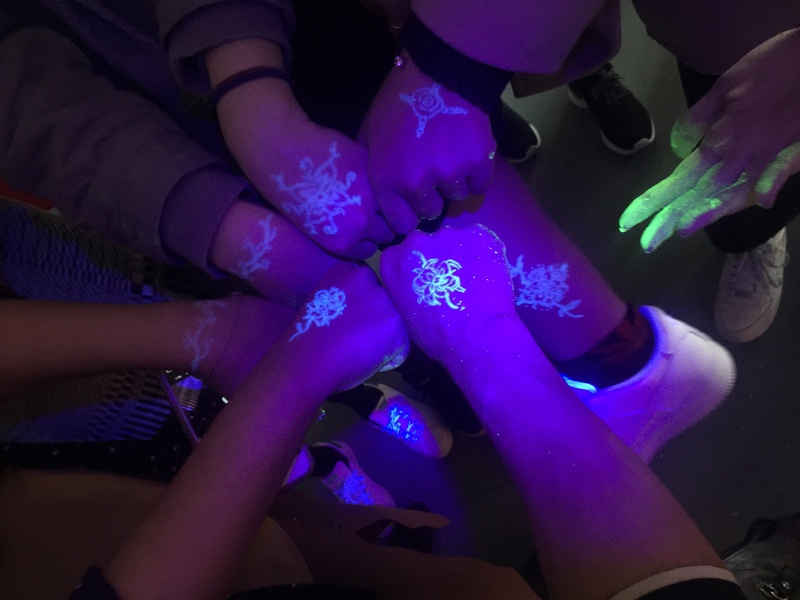 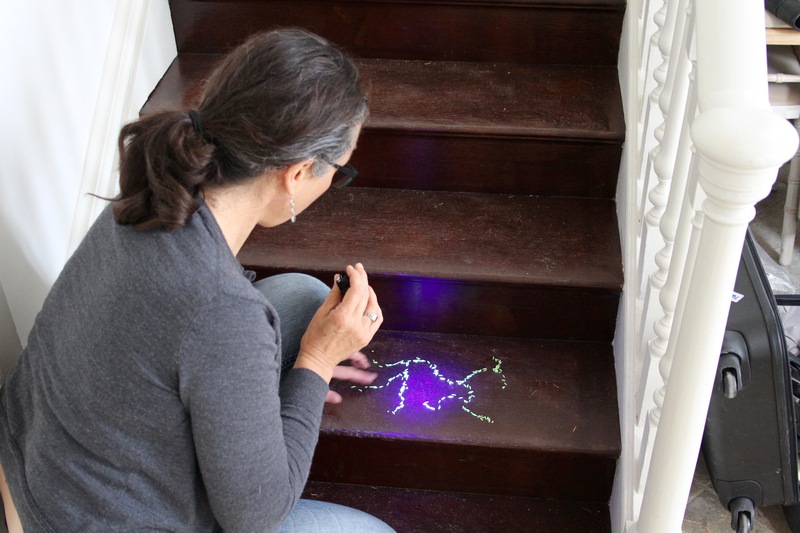 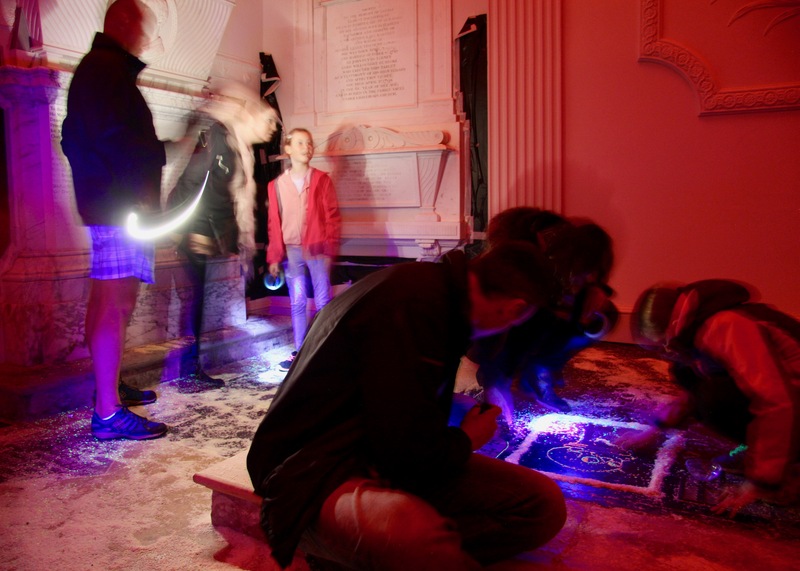 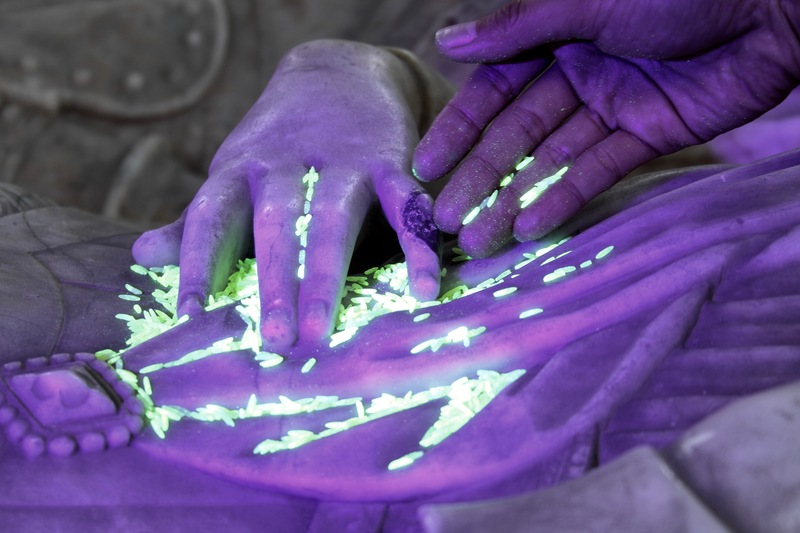 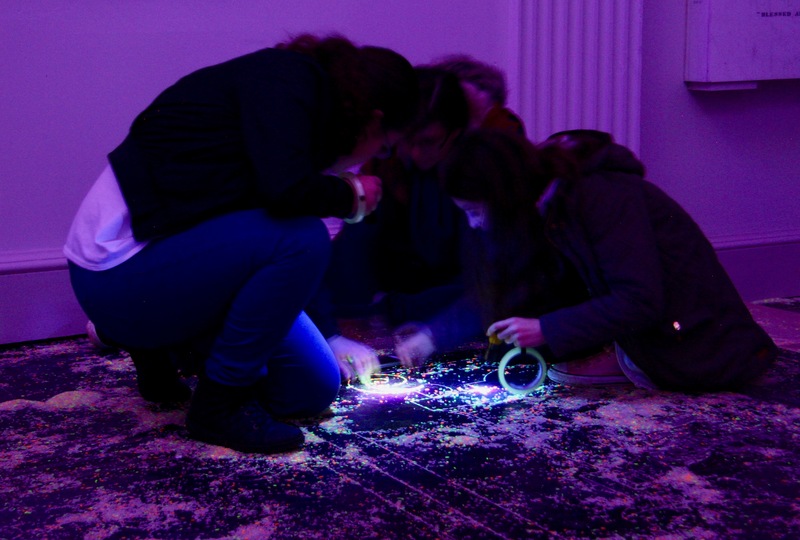 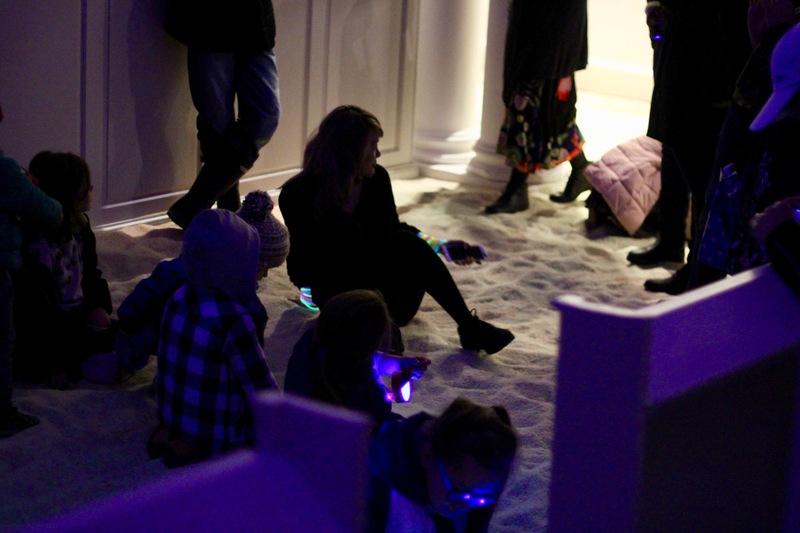 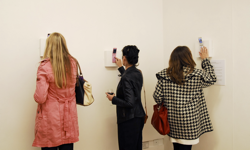 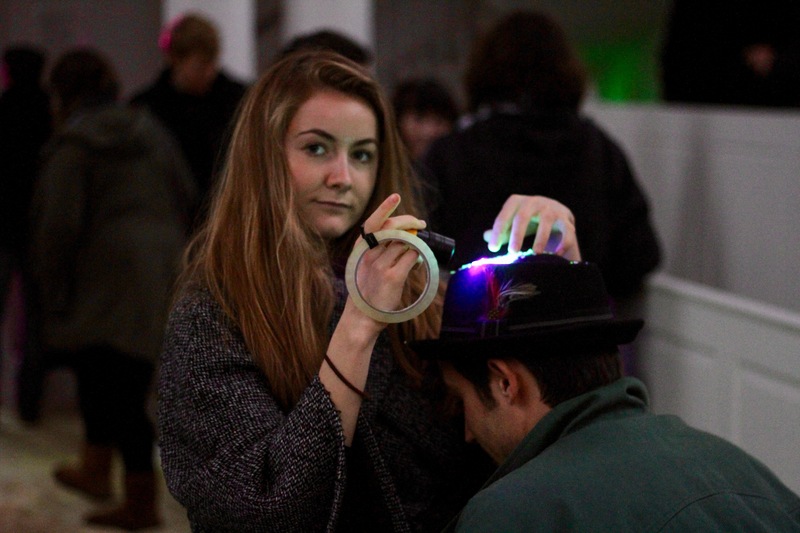 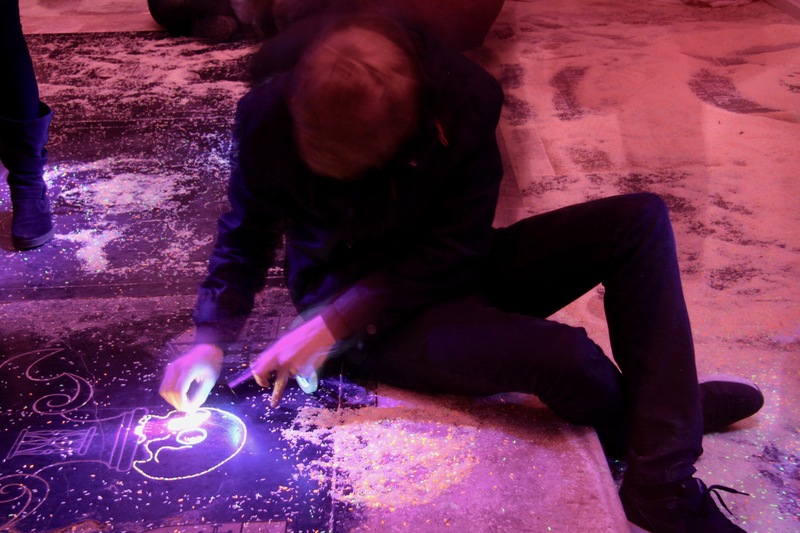 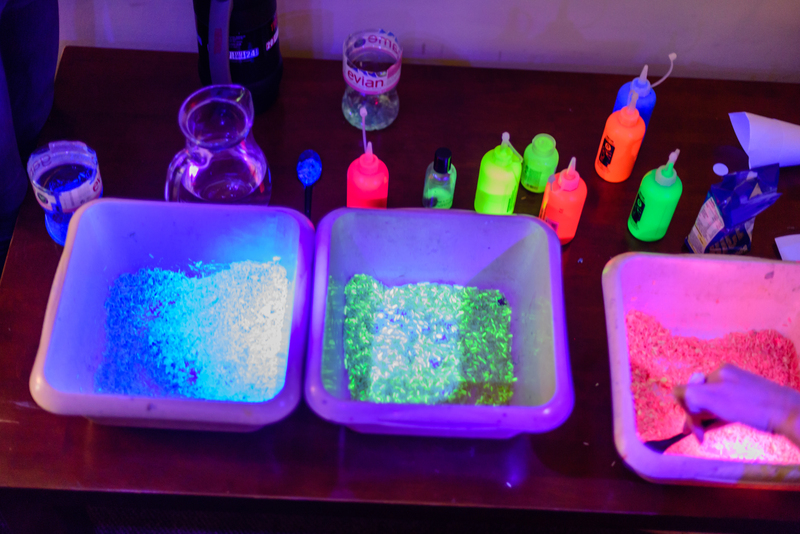 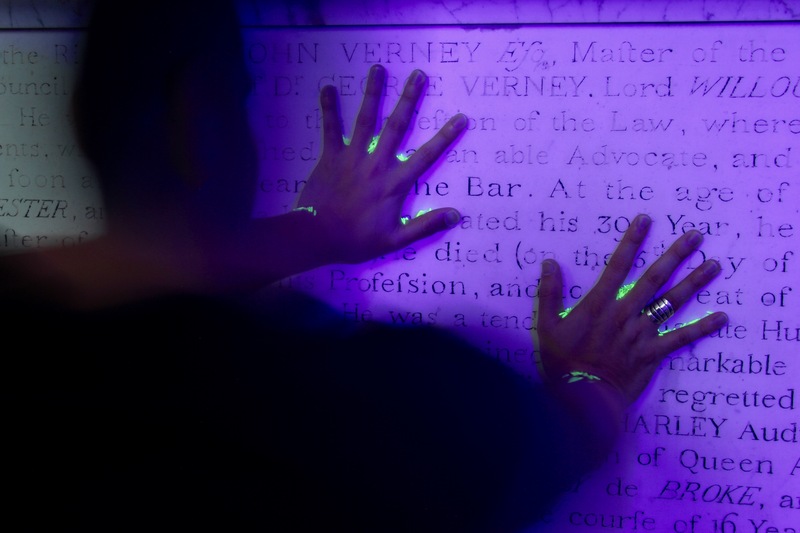 She used it to create a dynamic, interactive artwork in the chapel which viewers could explore using UV torches, and which they could shape and change themselves as the exhibition progressed. 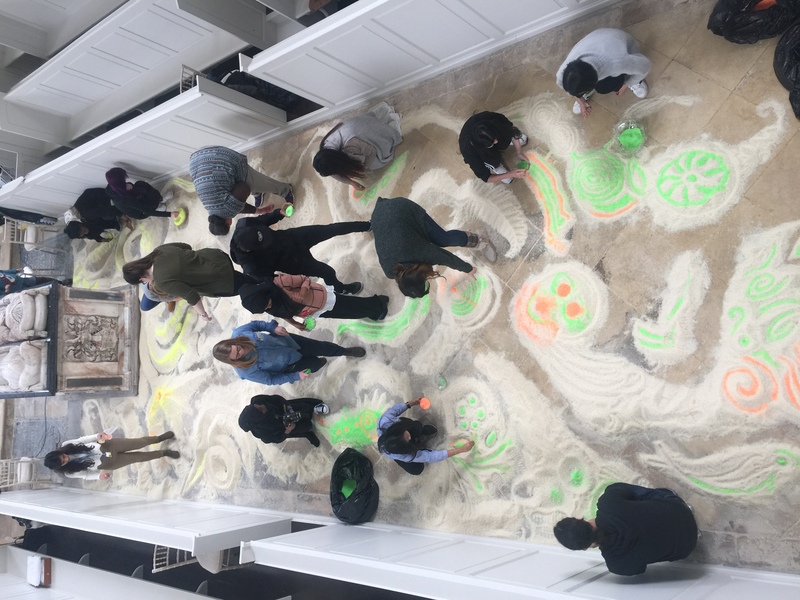 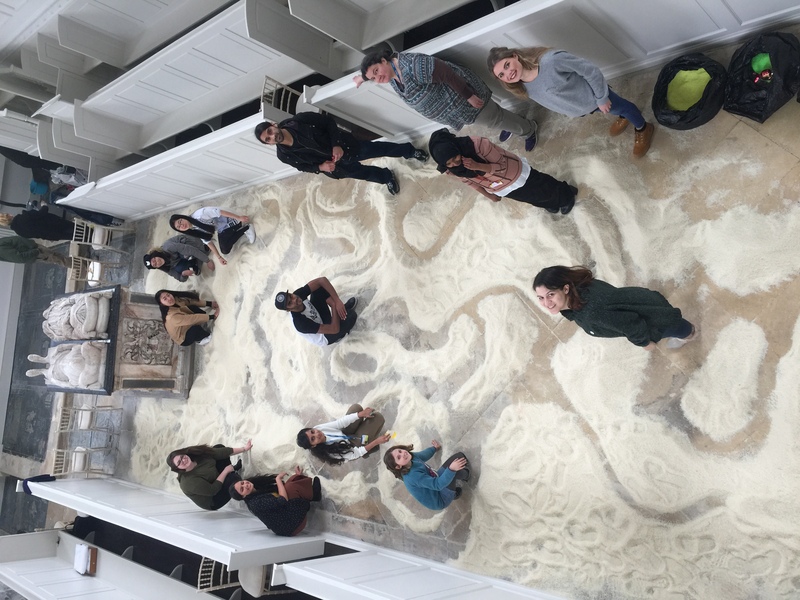 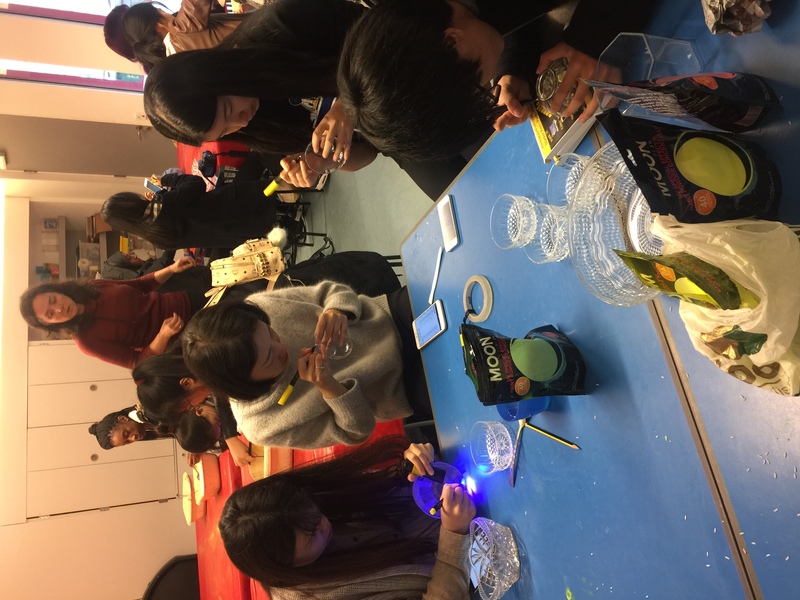 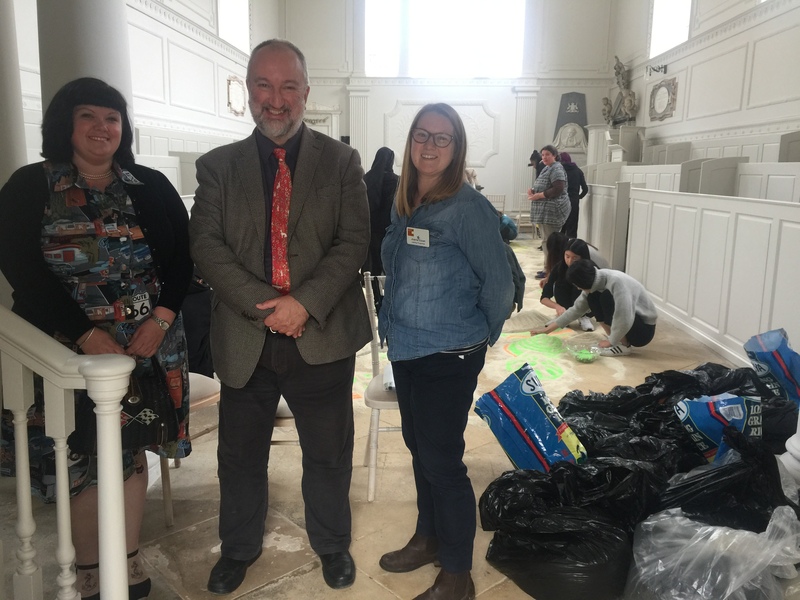 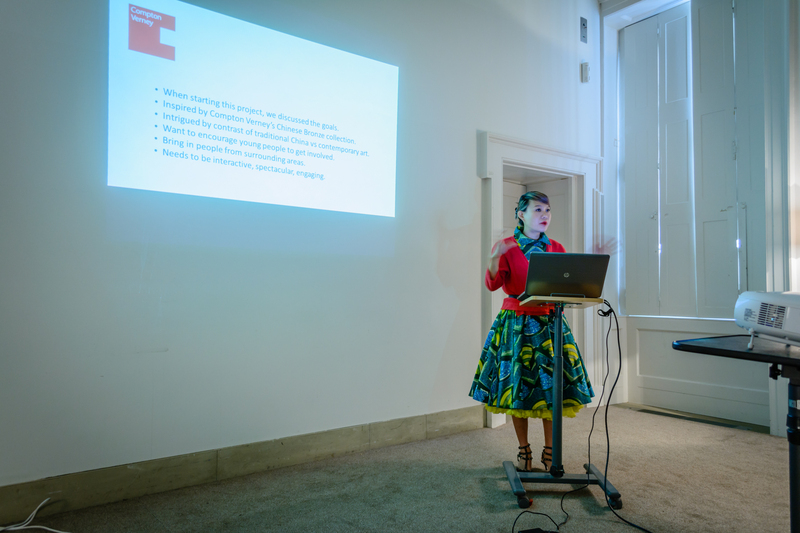 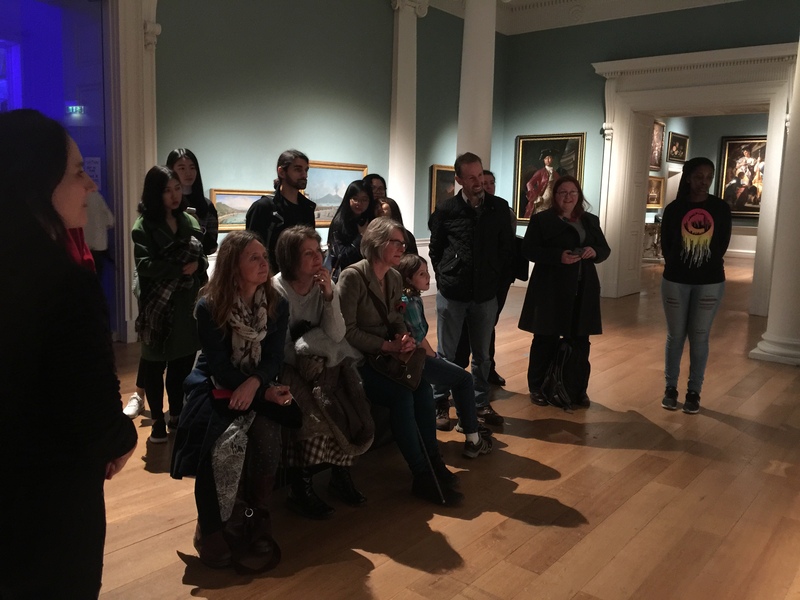 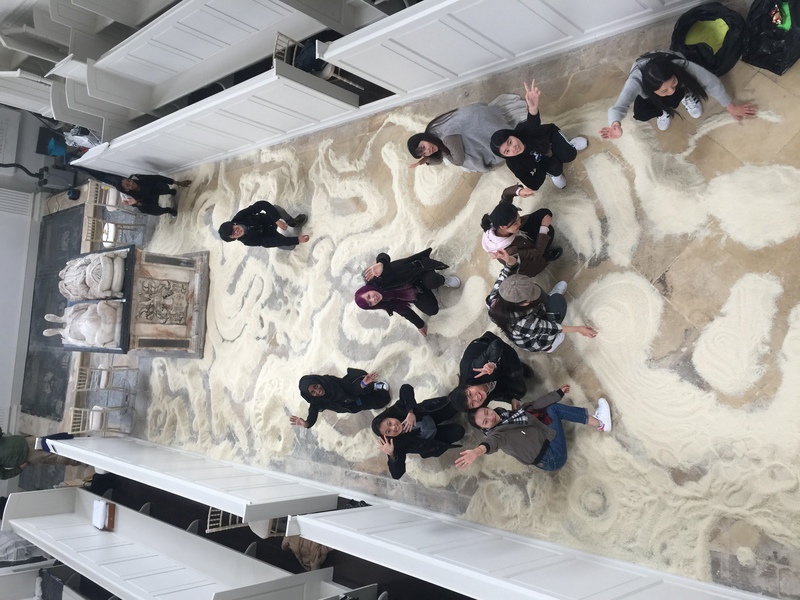 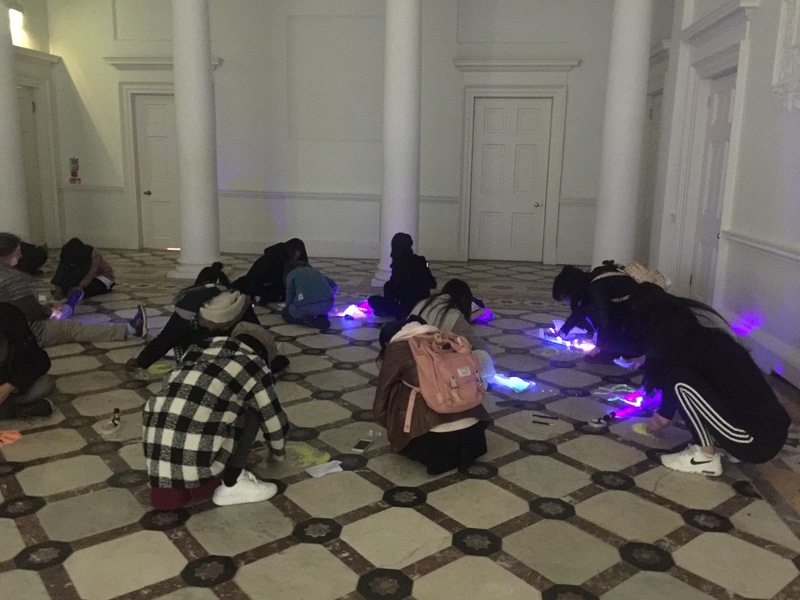 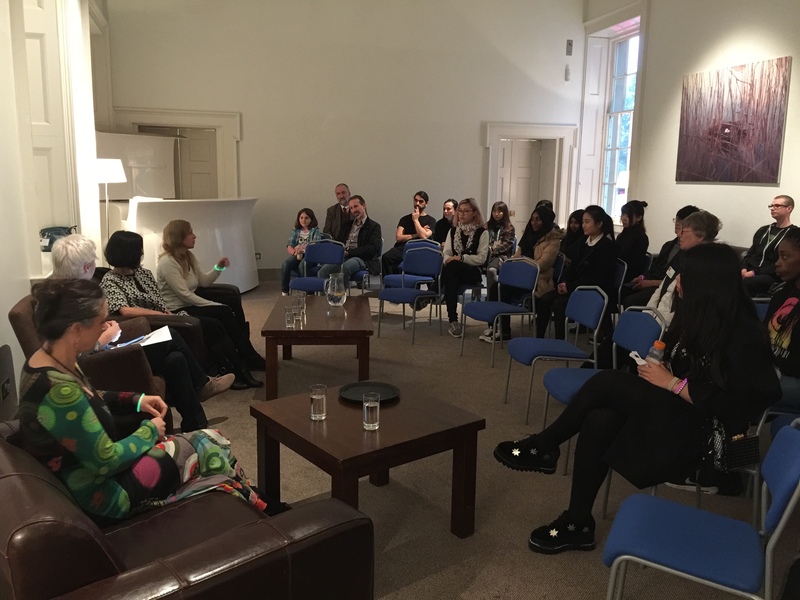 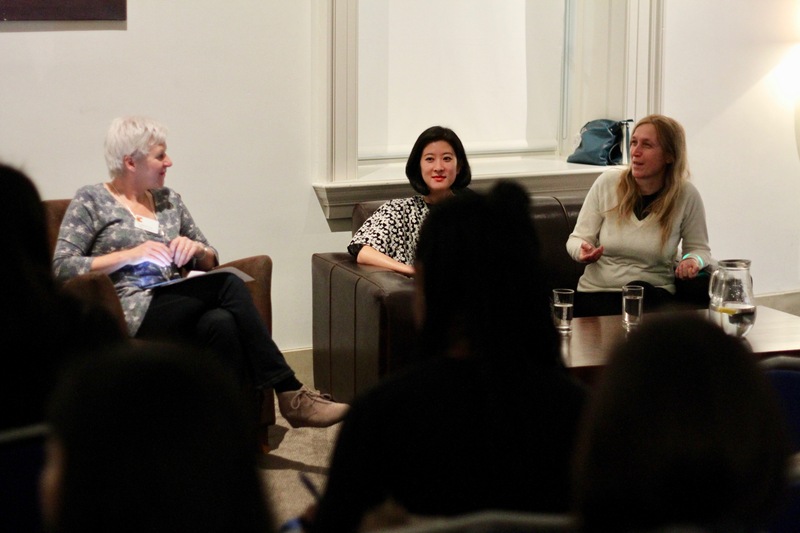 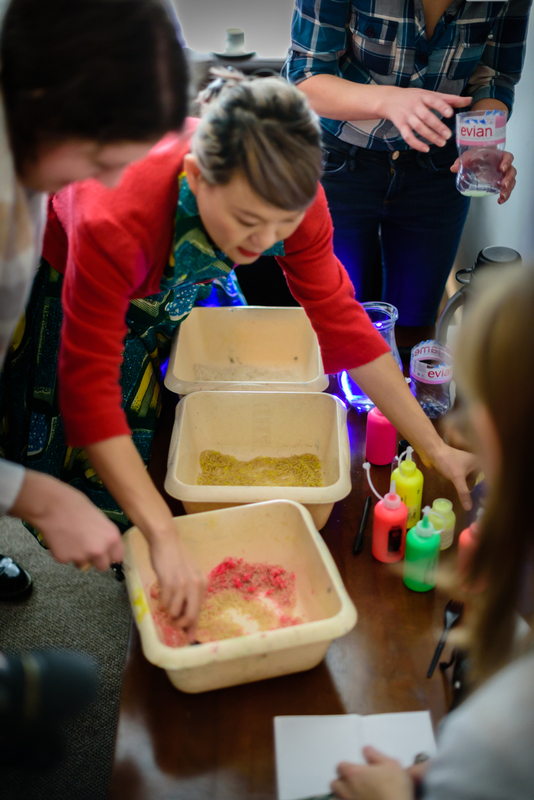 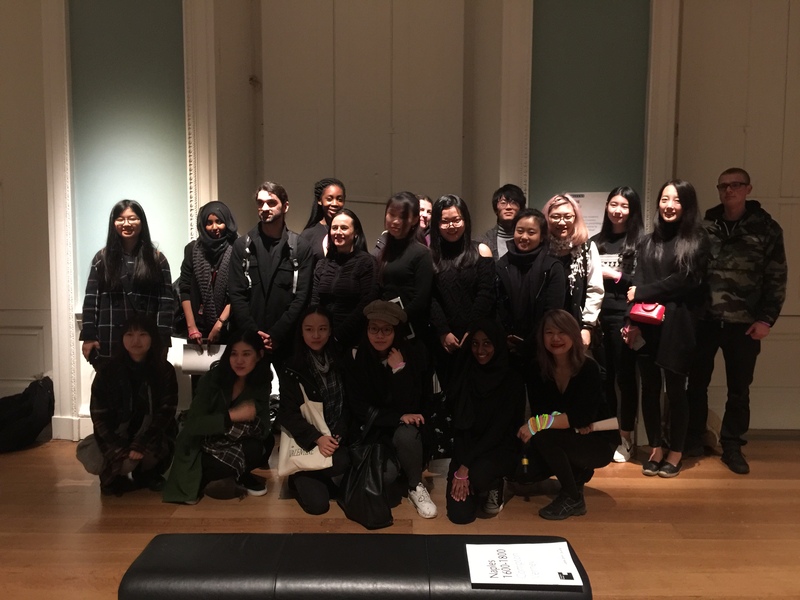 Direct partnership with Coventry University – the first time Compton Verney had ever engaged with a university – to run workshops for students from the school of art and design, to explore the medium. 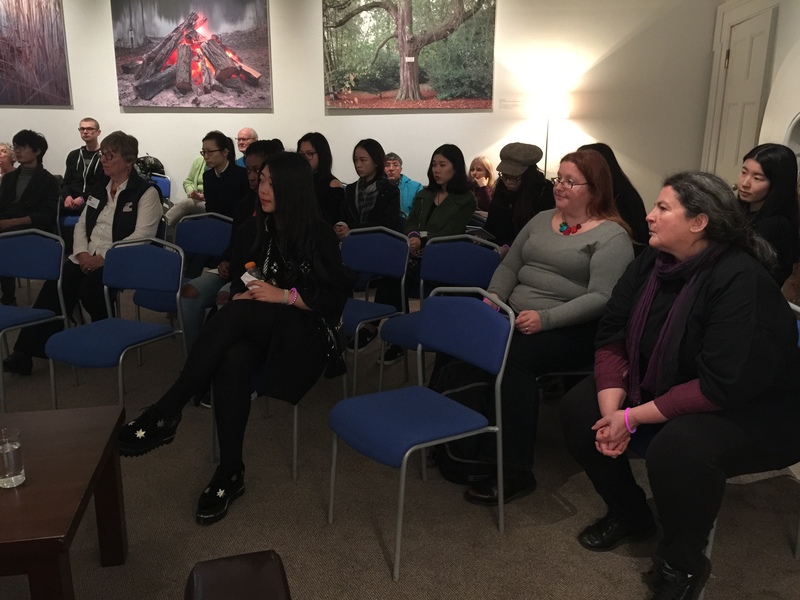 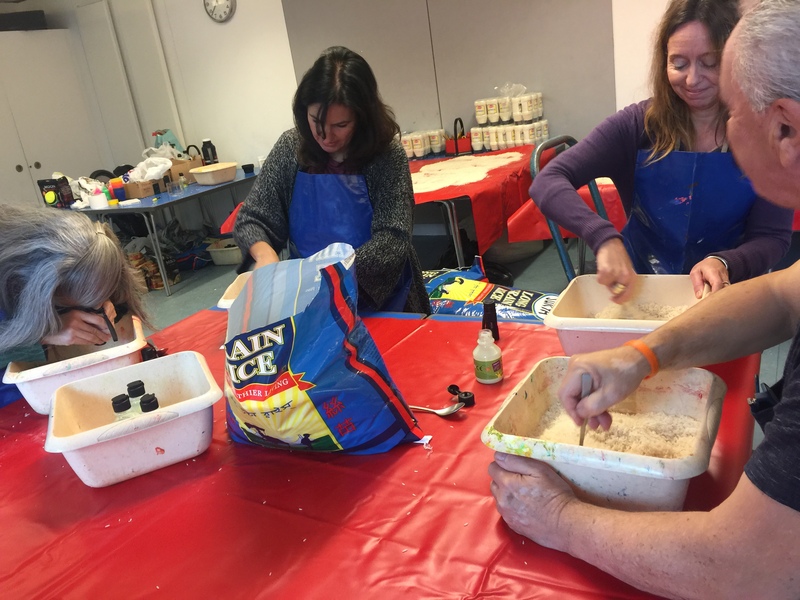 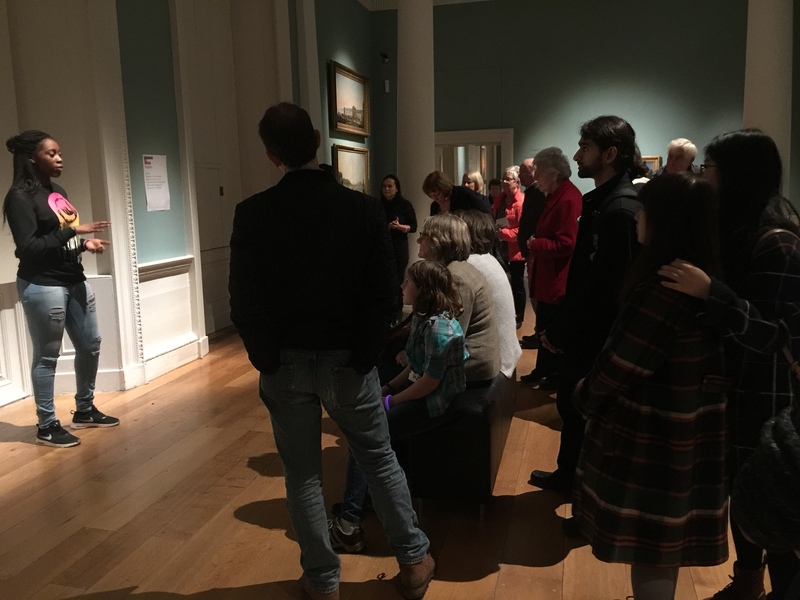 Presentations by the Coventry University students on the opening night to present their artworks to the public, and how they worked with the rice medium. 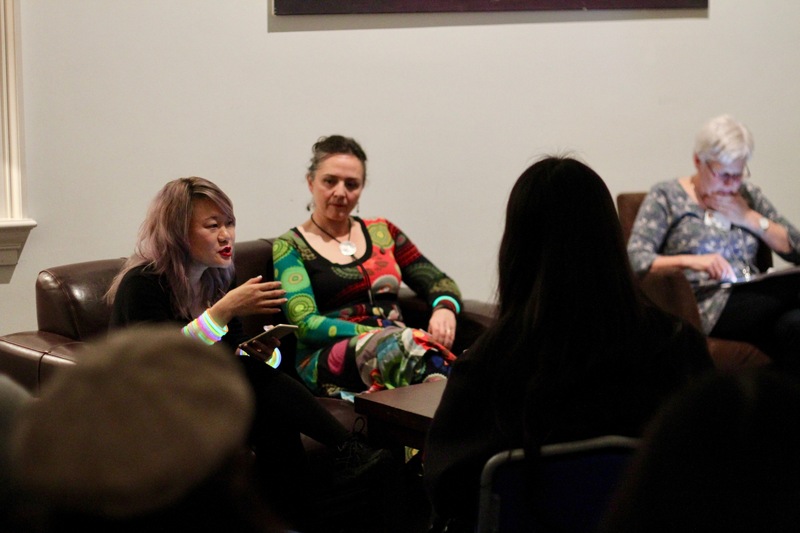 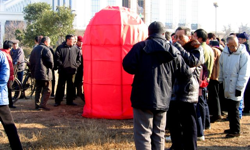 A talk during the night by successful creative experts (Aowen, other artists, poets and broadcast journalists) to inspire the local community, especially young people, visiting the show. 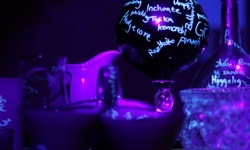 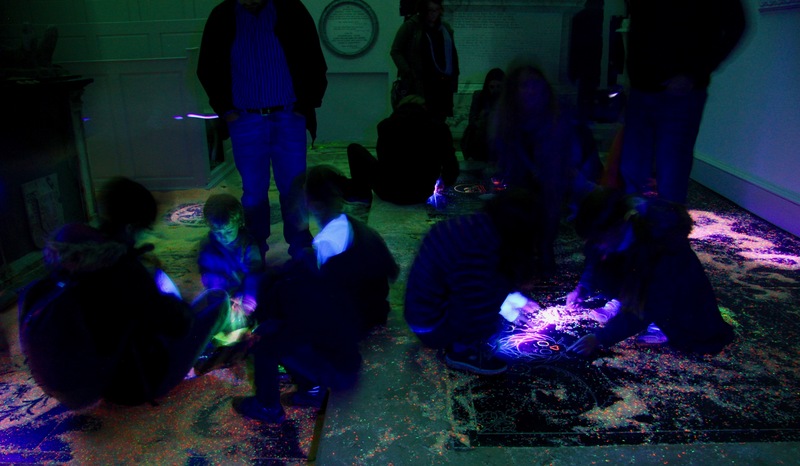 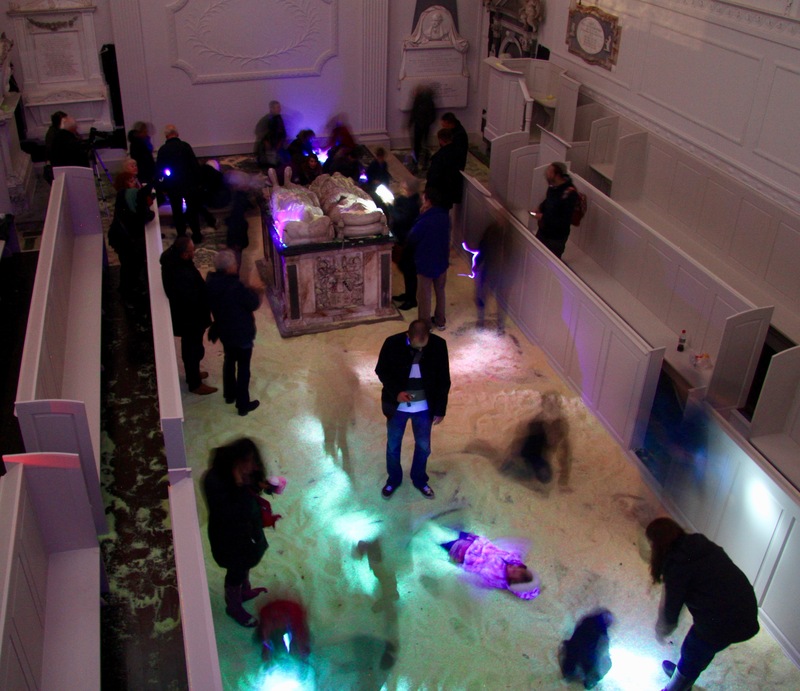 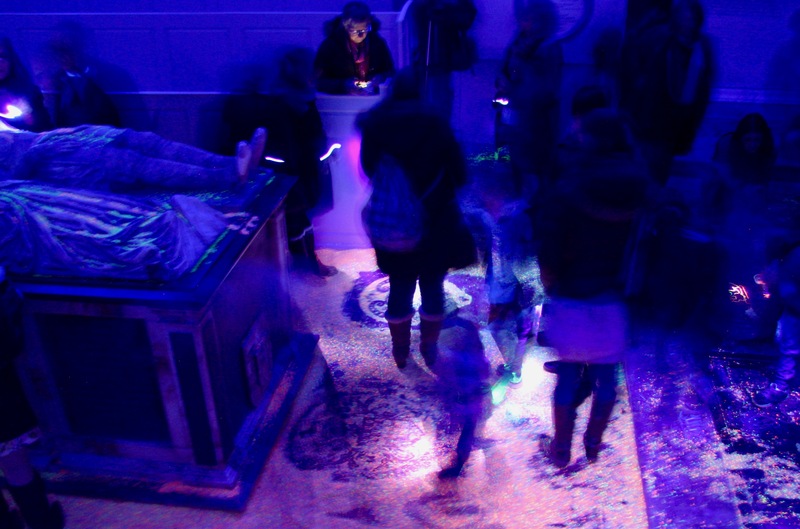 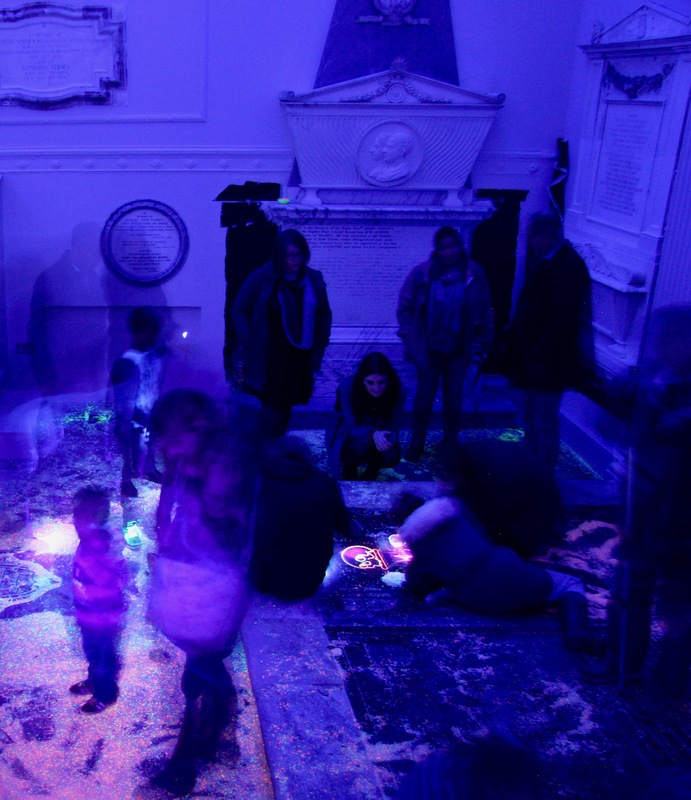 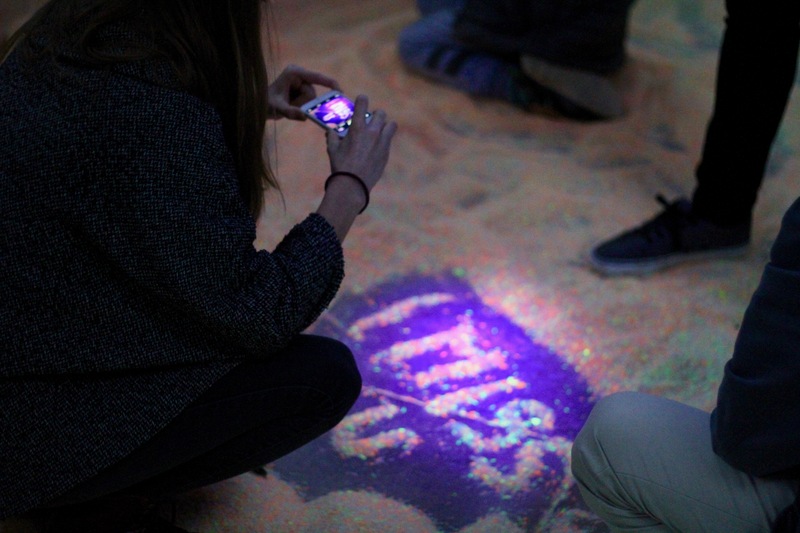 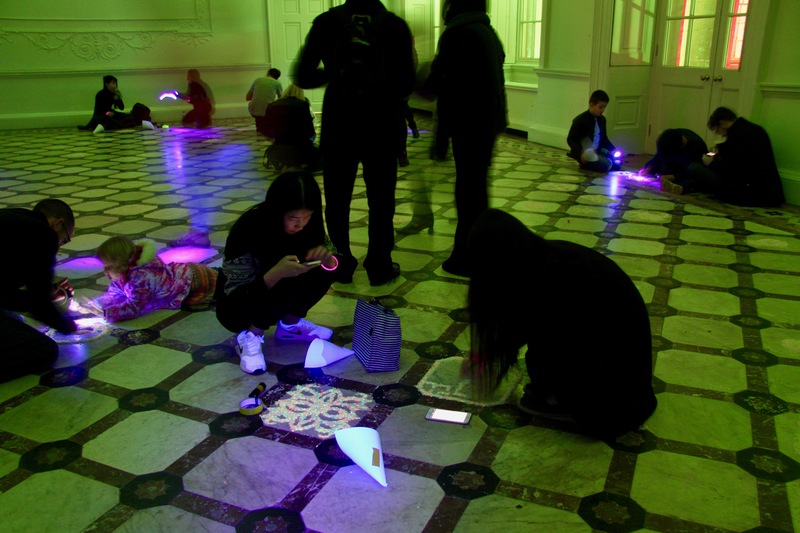 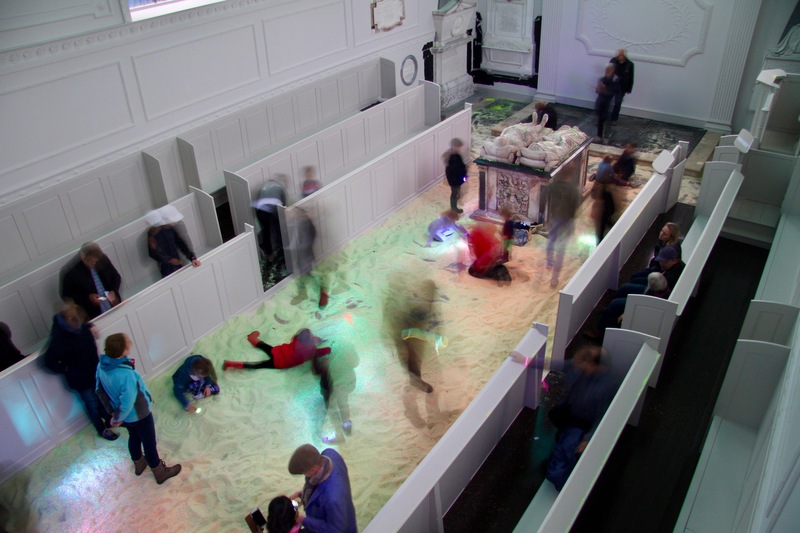 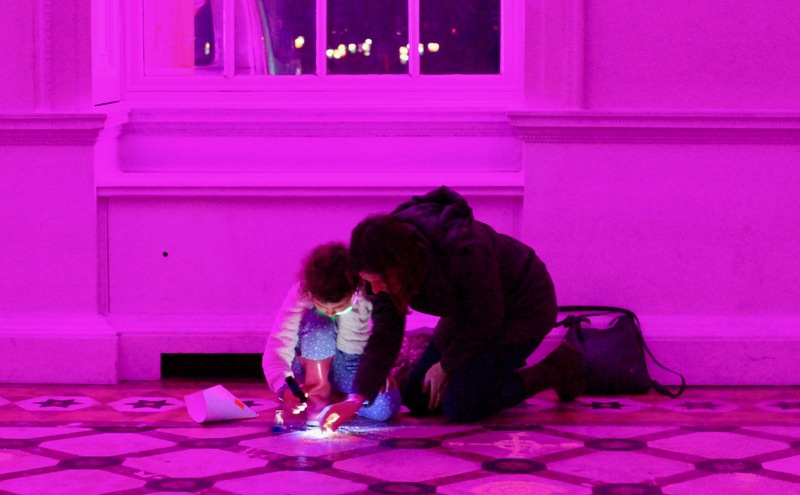 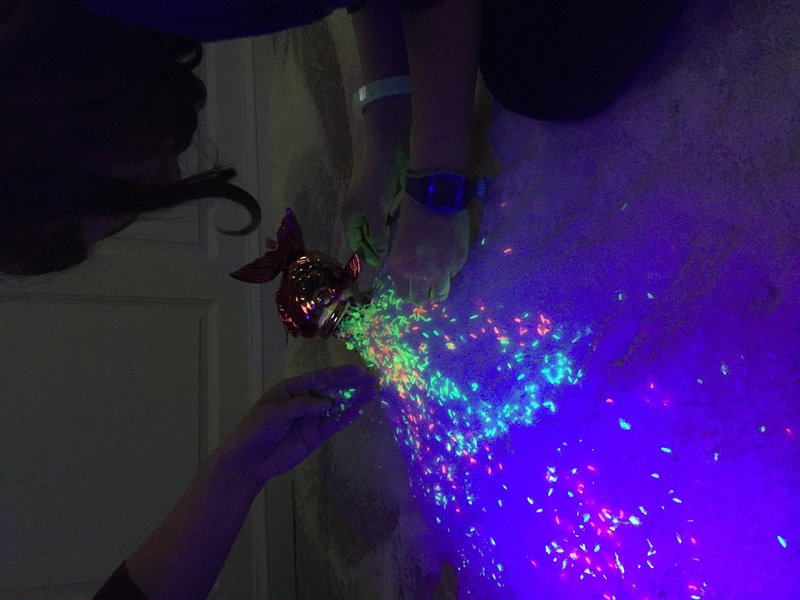 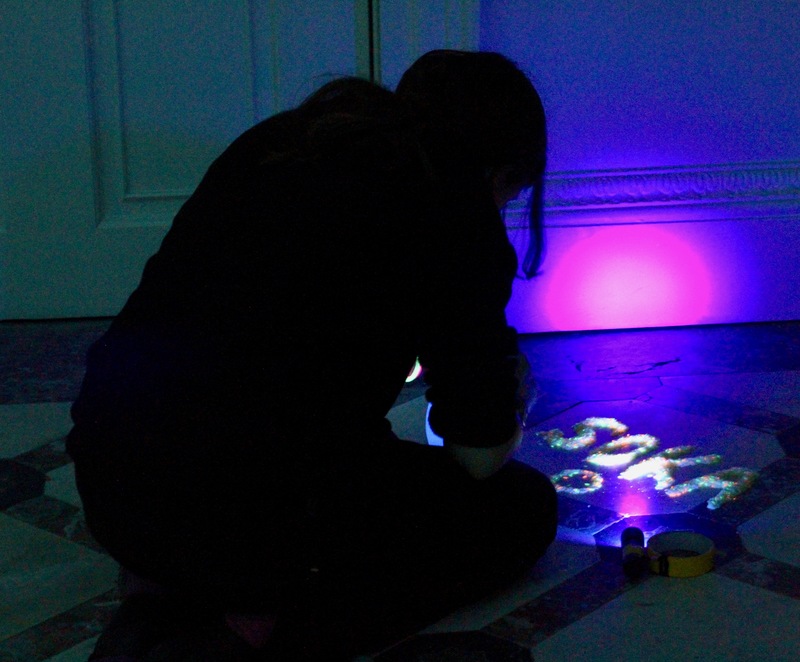 Interactive space in Compton Verney’s main hall, where visitors were given a bowl of UV rice to create their own artworks. 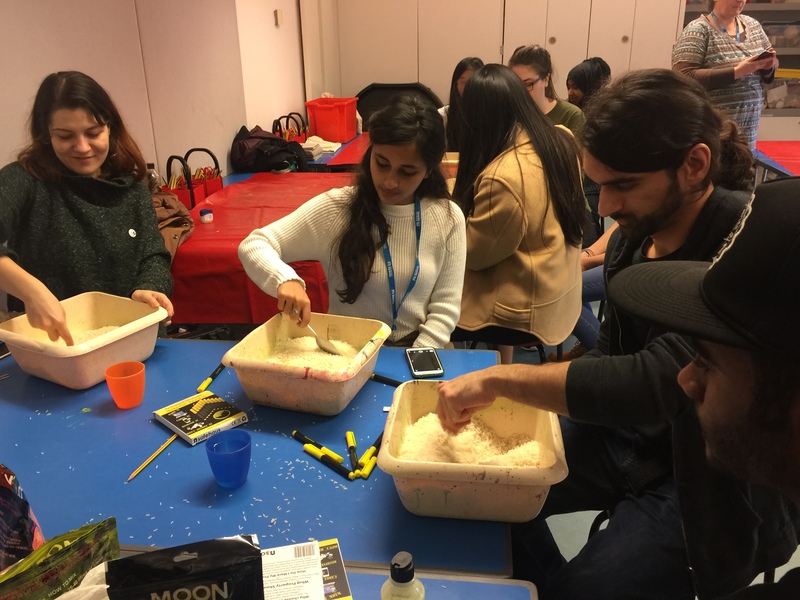 They were encouraged to take the rice home at the end of the night as a memento. 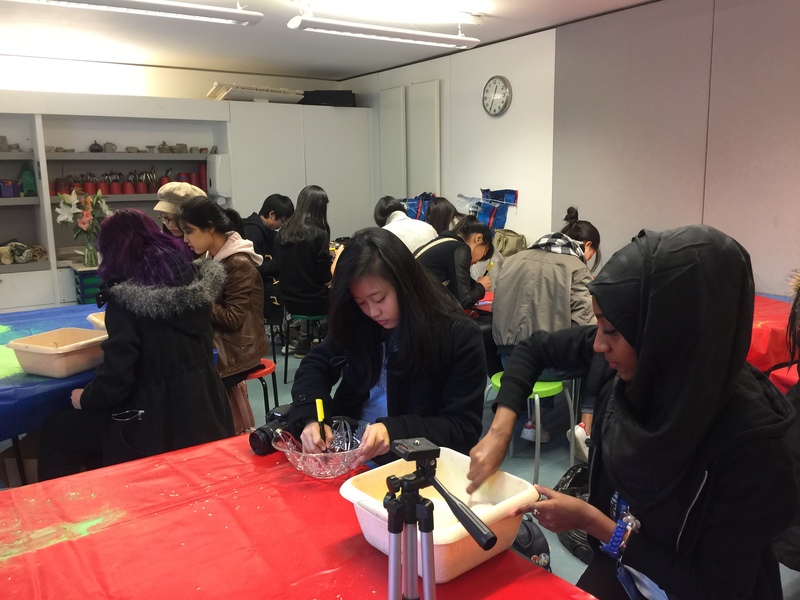 Volunteer programme with local charities, helping give disadvantaged young people access to opportunities. 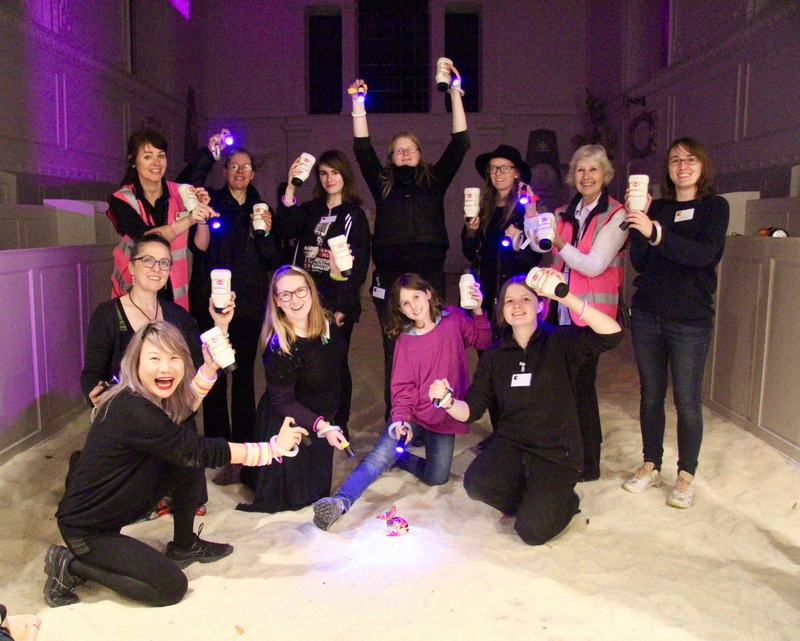 These volunteers were involved in setting up the exhibition and helping on the opening night. 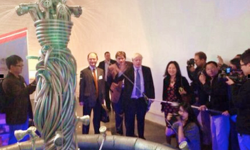 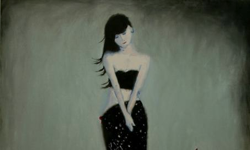 Unique late night opening of the gallery’s exhibits – including the nationally designated collection of Chinese bronze – so that viewers could see Aowen’s contemporary artworks in direct contrast with the traditional items that inspired it.